Medea is a completely new hostal, with a beautiful modern design. A lot of thought was put in the rooms and common areas interior, all for you to feel comfortable and restful. The professional Medea Hostal's staff is available, for any question, request or recommendation. 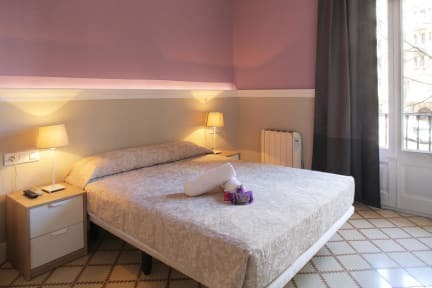 The rooms at Medea Hostal are double, triple and quadruple. All of the rooms are designed in bright colours, equipped with air condition, flat screen TVs, free Wi-Fi and with fully equipped bathrooms. You can also join the great tours we organise every day in english, spanish and Italian. Outstanding bright design and comfort are, without a doubt, an important addition to your vacation. 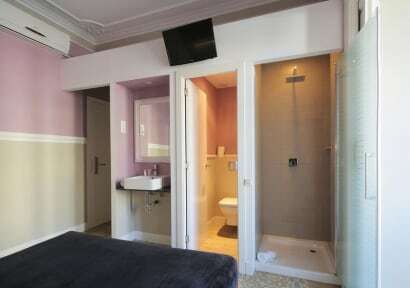 Medea Hostal is located in the best and safest neighbourhood of Barcelona - the Eixample. Within walking distance, there are many Barcelona's architectural attractions from Gaudi like Sagrada-Famila', 'La Pedrera' and 'Casa Batllo'. The area is full of nice and delicious restaurants and coffee bars! The glamorous avenue Passeig the Gracia is also next by. Medea Hostal is as well very good connected with the metro, the train, and the busses to the airport, the beach and other places of interest! Payment upon arrival by cash, credit cards, debit cards. This property may pre-authorise your credit card before arrival.